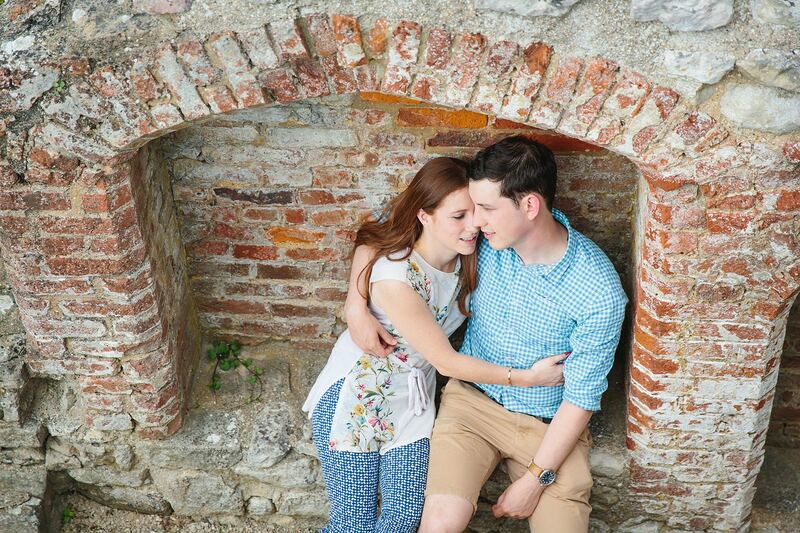 Farnham engagement photography – James and Rhian chose the gorgeous Farnham Castle as the venue for their wedding. 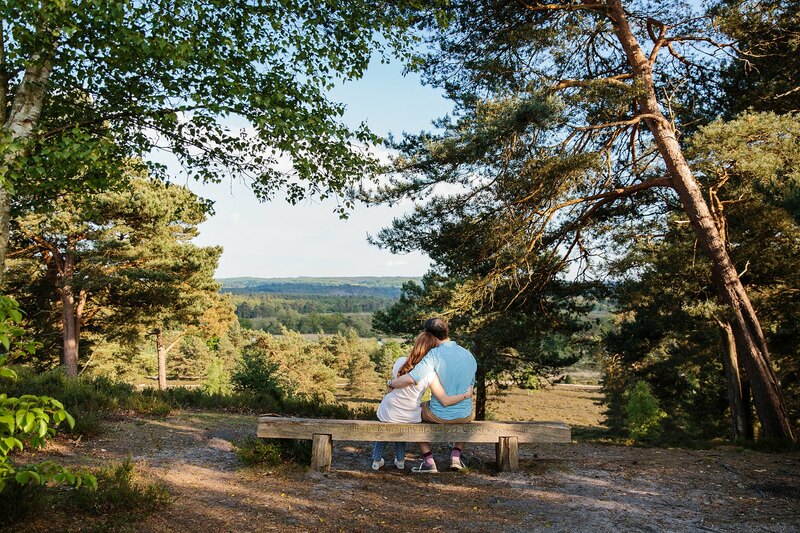 To get them used to being photographed on the day and to have a stake out of locations, we did a little engagement shoot one summer evening in the castle grounds, before heading over to nearby Frensham ponds. 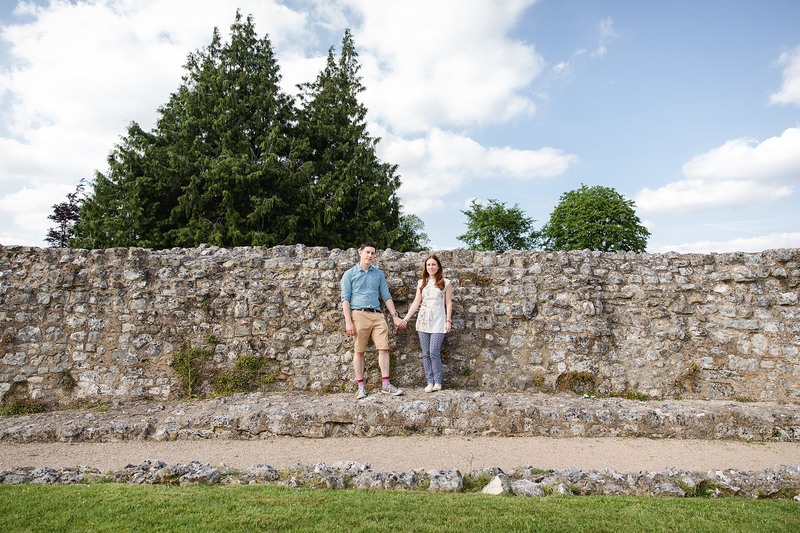 I always encourage my couples who would like a summer engagement shoot to opt for weekday evenings, as the light lasts for ages and is really gorgeous as it gets lower in the day. 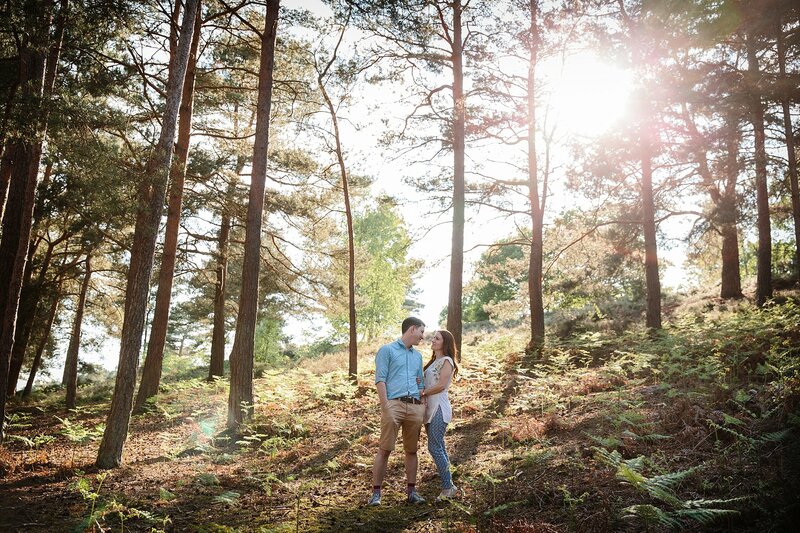 We shot amongst the trees by Frensham ponds and I just love how the light streams through! 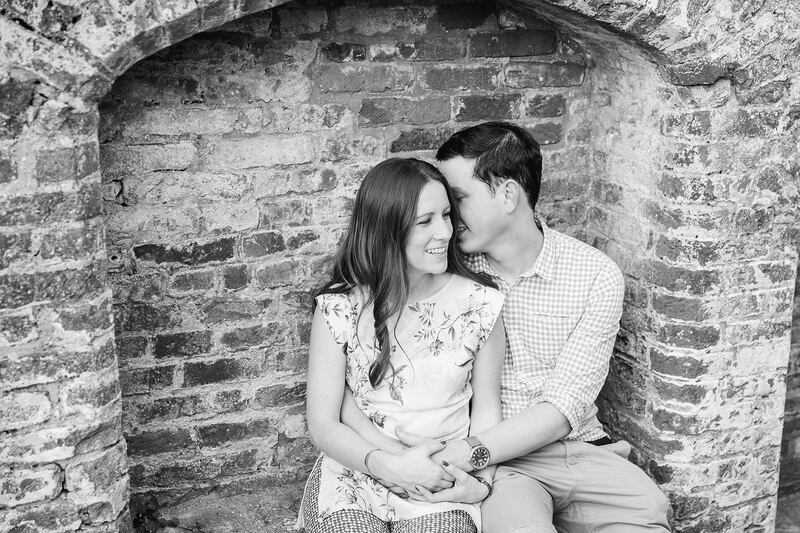 Since I don’t have any weekend availability in the summer months due to shooting weddings, I only offer engagement shoots on weekdays in late spring / summer – another reason evenings are ideal for shooting as it means we can shoot after work if you’re unable to make a daytime session. 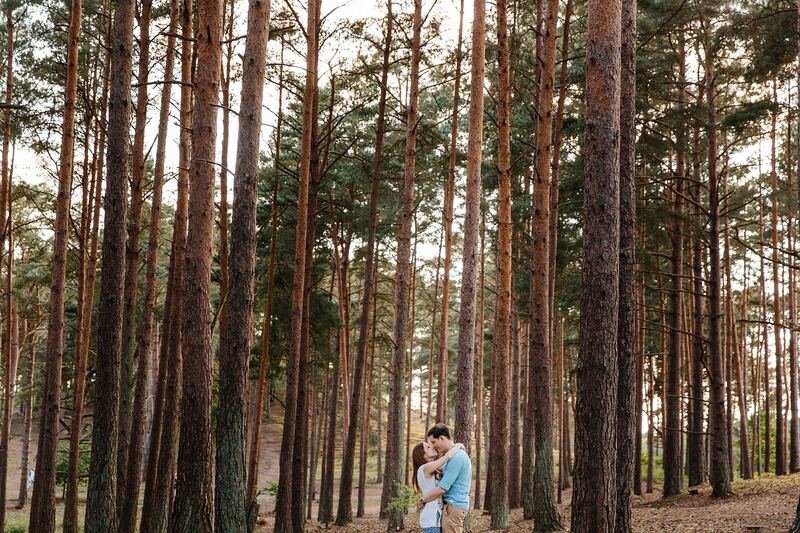 Plus once the sun goes down, we can head to a pub, which is exactly what I did with James and Rhian!